Get the news that matters the most to you. 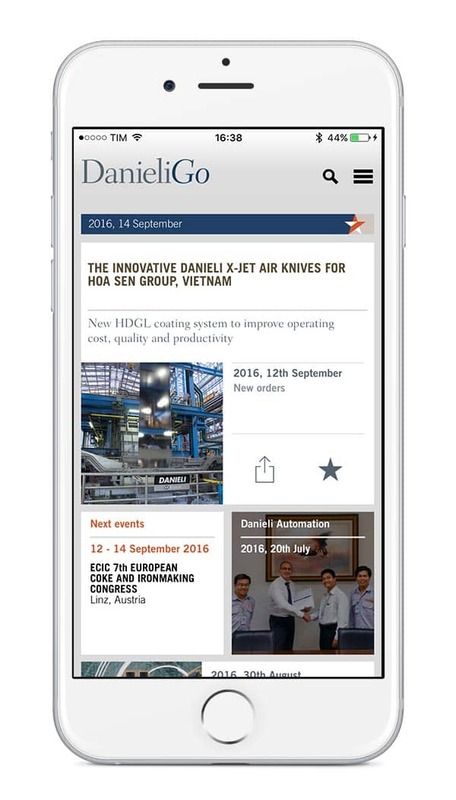 Stay informed about Danieli Group activities. 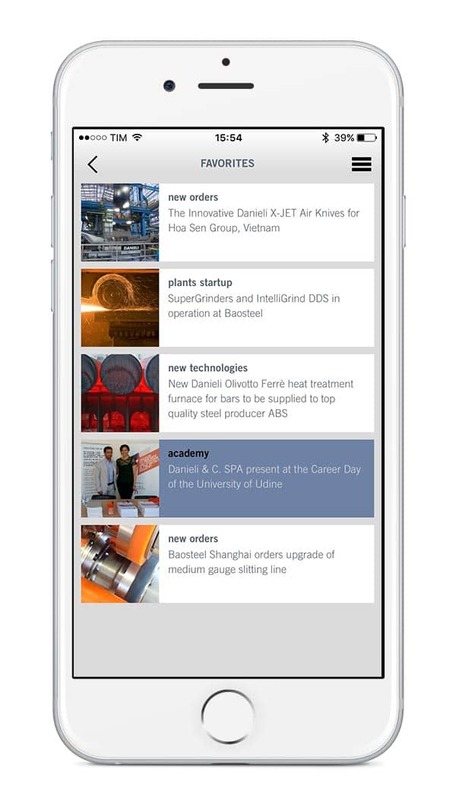 up-to-date on what happens in the Danieli group. are looking for and save the new settings. 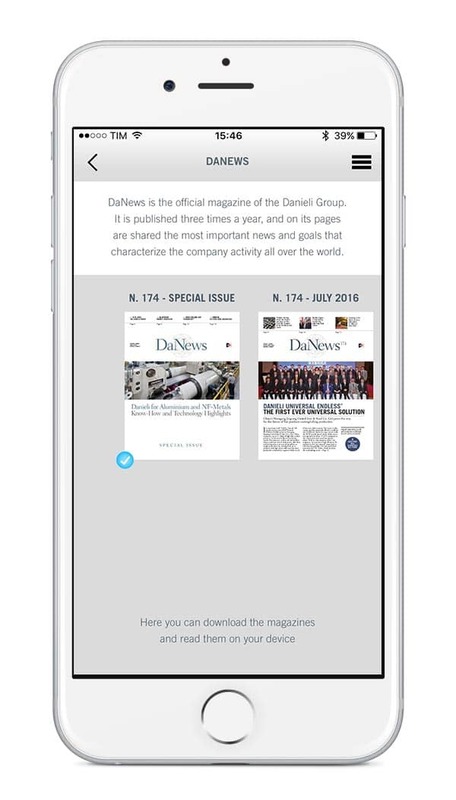 your personal Danieli Go app. Scroll up and down to explore the news and tap to read more. Don’t worry if you lose Internet connection. You will be able to read the news anyway because the loaded content is available even offline. of DaNews magazine in .pdf format. 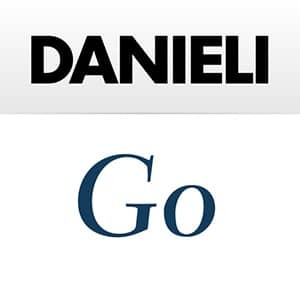 Danieli Go collects them all in one place for you to easily find them. You can read them even without the Internet connection.